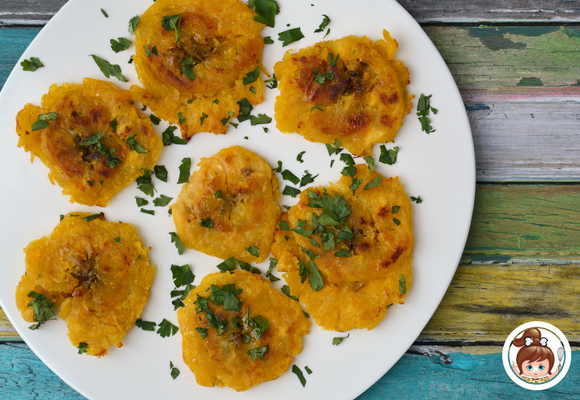 These Tostones/Patacones ~ Twice-Fried Green Plantains, are just one of the many Latin foods that Amanda Torres from The Curious Coconut put together with her Puerto Rican mother-in-law Milagros Torres. 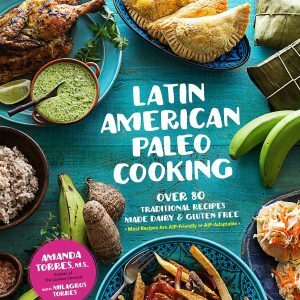 In her new cookbook, Amanda shares an adventurous side to Paleo that embraces authentic Latin American comfort foods while also making them completely gluten-free, dairy-free, and refined sugar-free. 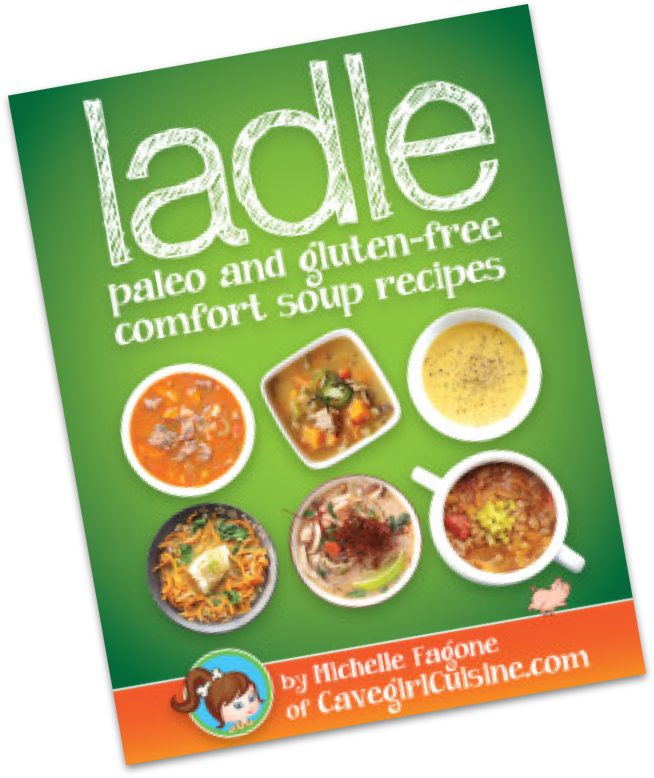 Featuring over 80 authentic recipes from across Latin America, Latin American Paleo Cooking brings the flavors of Latin home cooking right into our kitchens. Thank you Amanda! 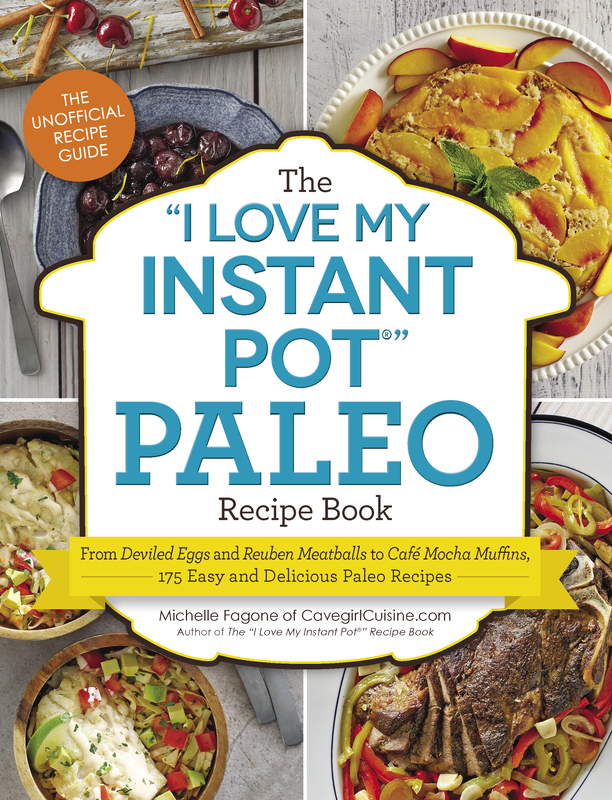 I have reviewed many, many paleo cookbooks over the years, but this is a must-have. From the Pollo a la Brasa and Ropa Vieja to the Yuca Fries and Flan de Coco (whoo-hooo! ), I can’t wait to dive into this delicious book and discover everything I’ve been missing! 1. Slice the tips off the plantains with a knife, then cut 1 or 2 slits in the skin down the length of the plantain. If the peel does not lift off easily you can loosen it by soaking the plantains in a bowl of water with about 1 tablespoon (6 g) of salt for 10 to 15 minutes. 2. Slice the peeled plantain crosswise into disks . to 1 inch (2 to 2.5 cm) wide. 3. In a large skillet, heat your fat of choice over medium heat until shimmering, 3 to 5 minutes. Carefully add the disks to the heated fat, cooking on each side for 2 to 4 minutes, or until they have turned a darker, more golden color. Do not allow to brown. 4. Remove the disks from the oil and flatten, using a tostone press (recommended) or a sturdy glass/jar or flat meat mallet. If using a tostone press, place the disk in the recessed circle and then clamp down the lid on top. 5. 5. 5. Return the flattened plantain disks to the hot oil and fry for an additional 2 to 3 minutes on each side, or until crispy and browned. You will likely need to work in batches to fry the flattened disks. 6. Add extra cooking fat as needed, because these will absorb quite a bit of fat as they cook. Top with a sprinkling of coarse sea salt and a garnish of cilantro and serve immediately; tostones do not reheat well. Serve with your favorite main dish.